... asks Doug Schneider, publisher of SoundStage! After seeing the receivers at the Munich High End Show, senior editor, Colin Smith called them "some of the most exciting products at the show." Now, after the North American press introduction at the CEA LineShows last month, Roger Kanno, associate editor, agrees with both Doug and Colin, "judging by the information provided, and Anthem's reputation for producing top-quality electronics Doug and Colin had good reason to be impressed by these products." Check out the July BackStage! 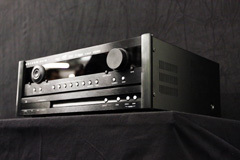 column highlighting the new MRX receivers and MDX 1 iPod/iPhone Dock.